Several already released Xbox One games have Xbox One X patches in the works, allowing them to take advantage of the console’s power to look better than ever. Among them will be Remedy’s Quantum Break and Rise of the Tomb Raider. Several new videos, shared by Gamersyde earlier today, showcase the two games running on Xbox One X. Of the two games, Quantum Break seems to have the most issue right now, but it’s related to the fact that the patch is still in the works and the shown one wasn’t final. The Rise of the Tomb Raider videos, on the other hand, looks quite a bit better, with the videos showcasing the three different video modes in action: 4K enriched, 4K Native and 1080p 60 FPS. Earlier today, pre-orders for the Xbox One X Standard Edition have finally been opened. and they’re expected to go quite well, considering what happened with the pre-orders of the Project Scorpio Edition. Sunday night in Germany we unveiled the Xbox One X Project Scorpio Edition, a special edition console designed for our biggest fans. That night we launched pre-orders worldwide and we have been overwhelmed by your response. You, our biggest fans, have pre-ordered more Xbox One X Project Scorpio Edition consoles in the first five days than any Xbox ever. 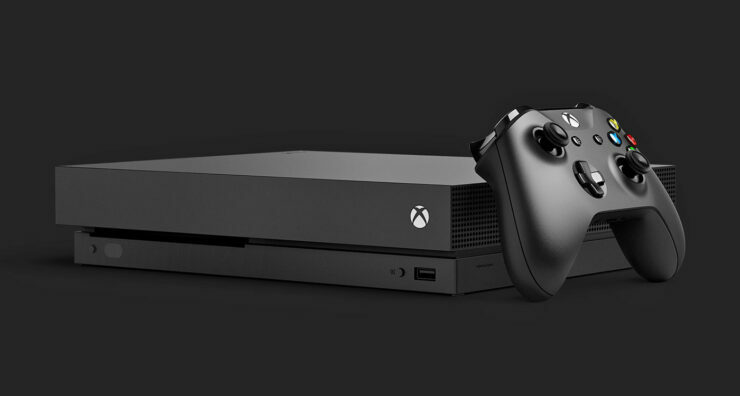 The Xbox One X console launches on November 7th.